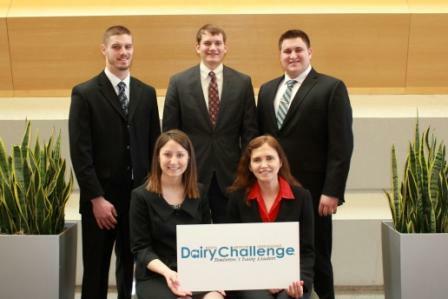 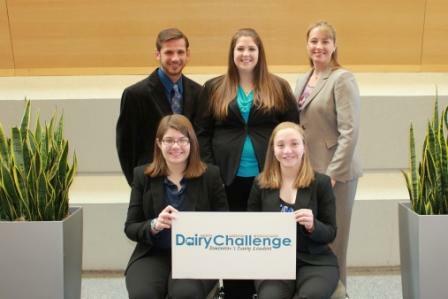 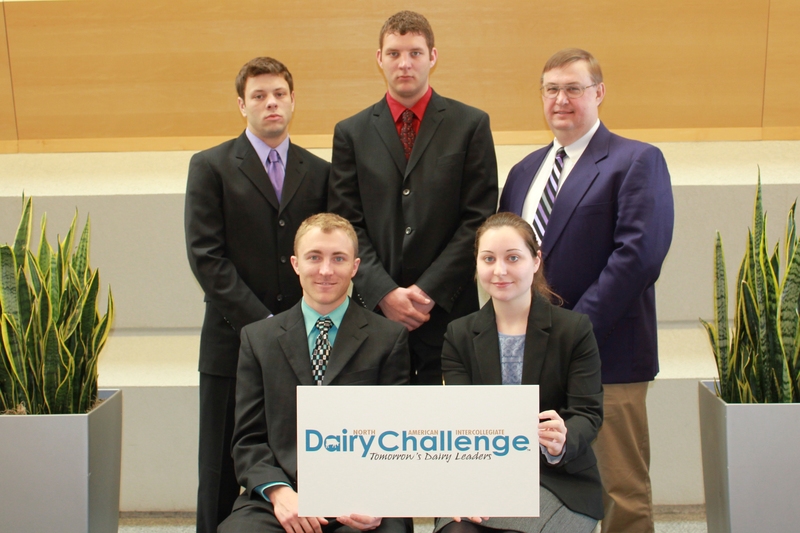 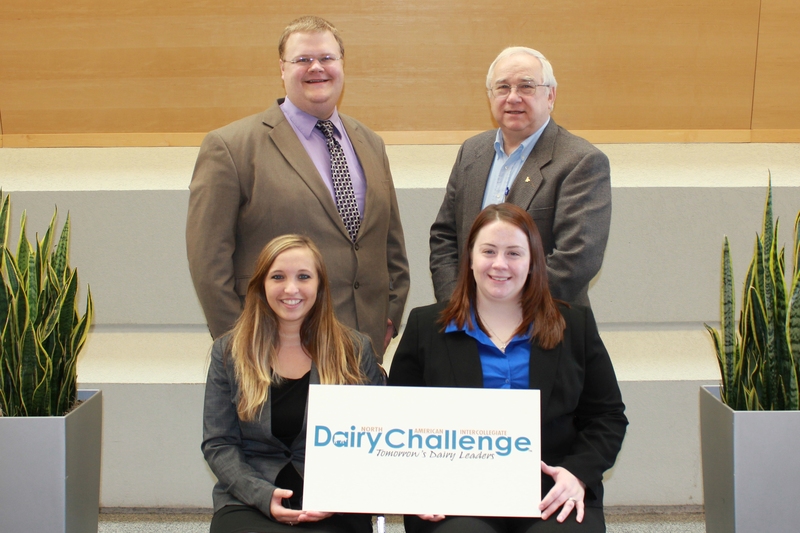 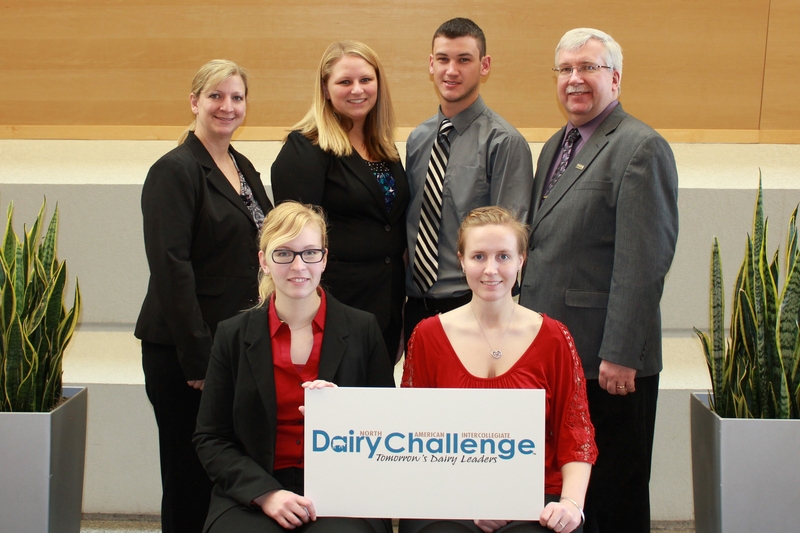 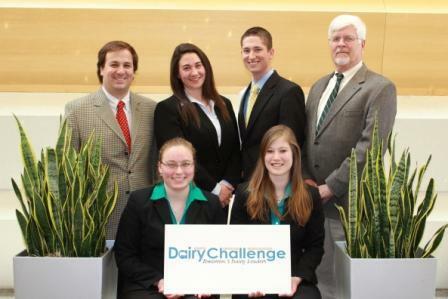 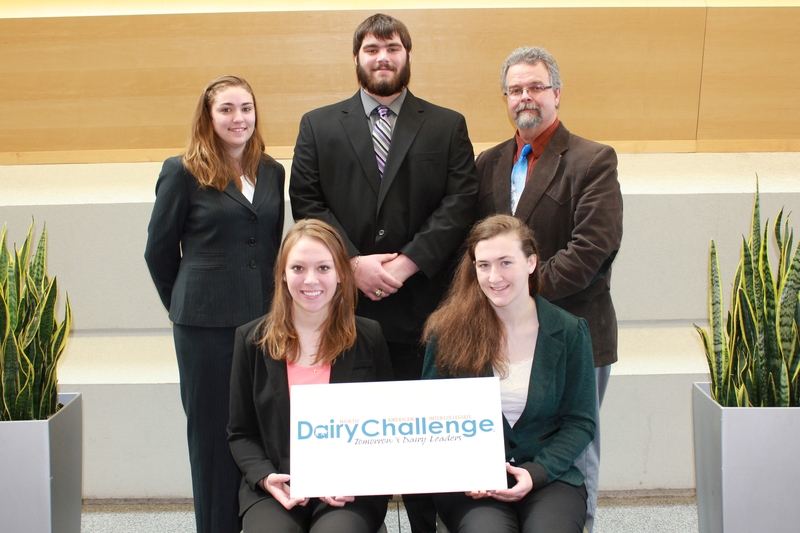 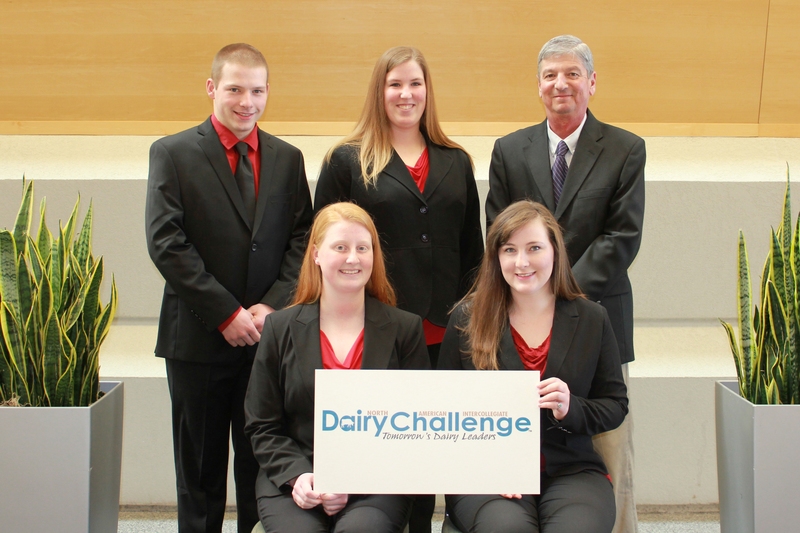 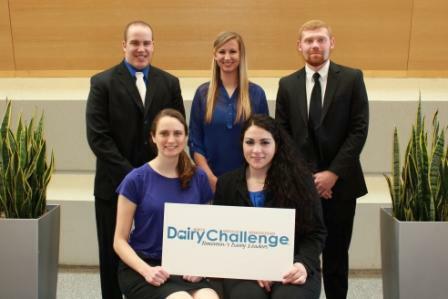 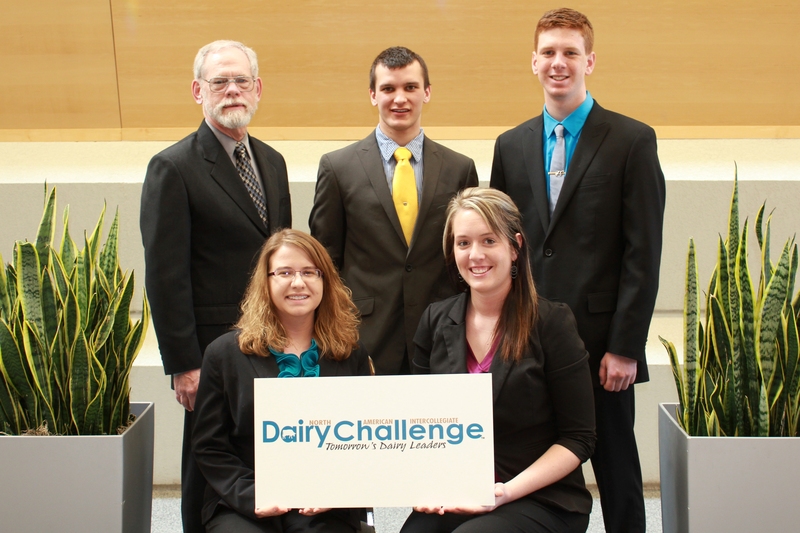 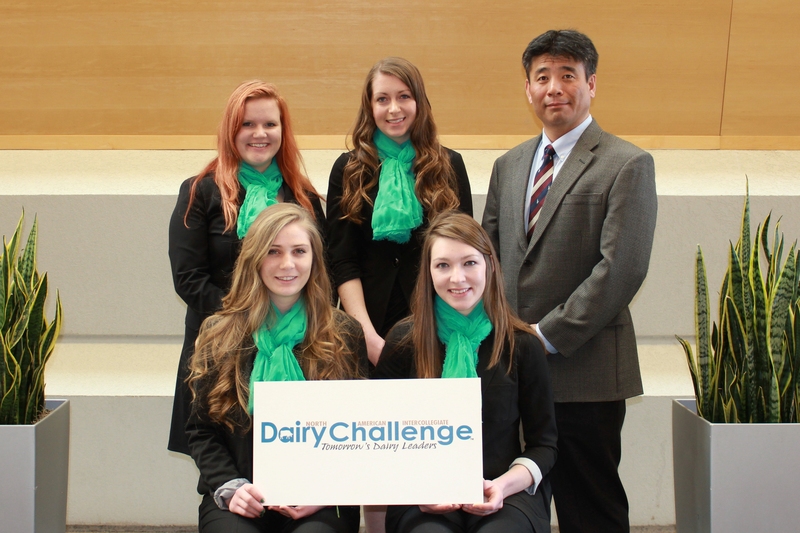 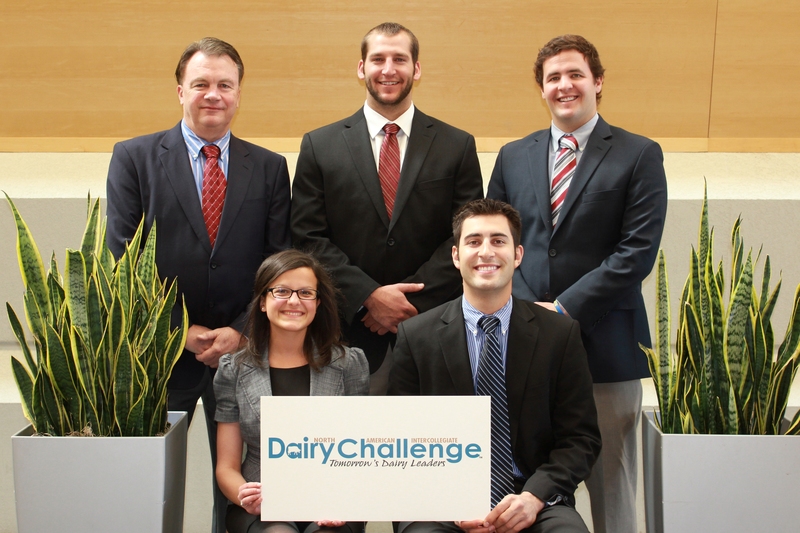 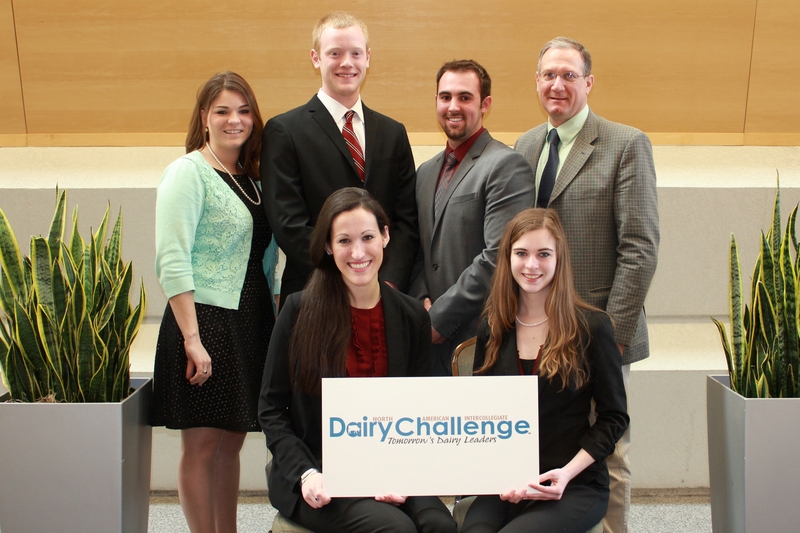 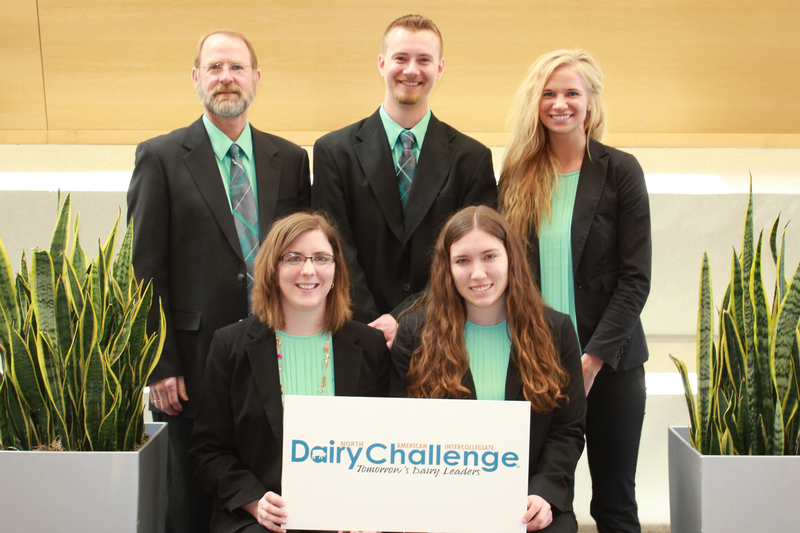 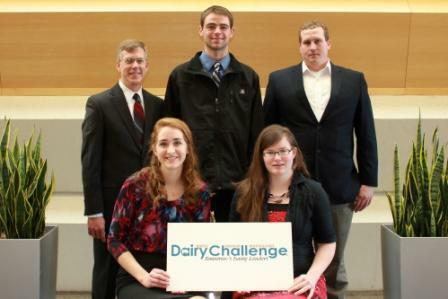 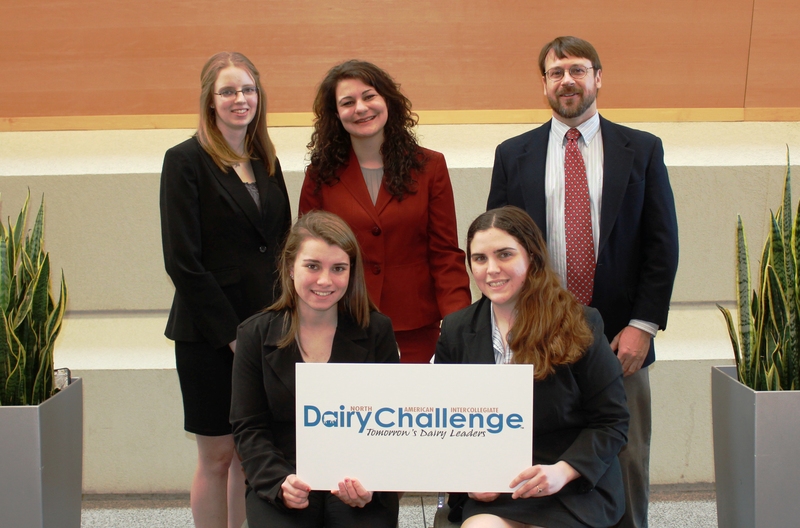 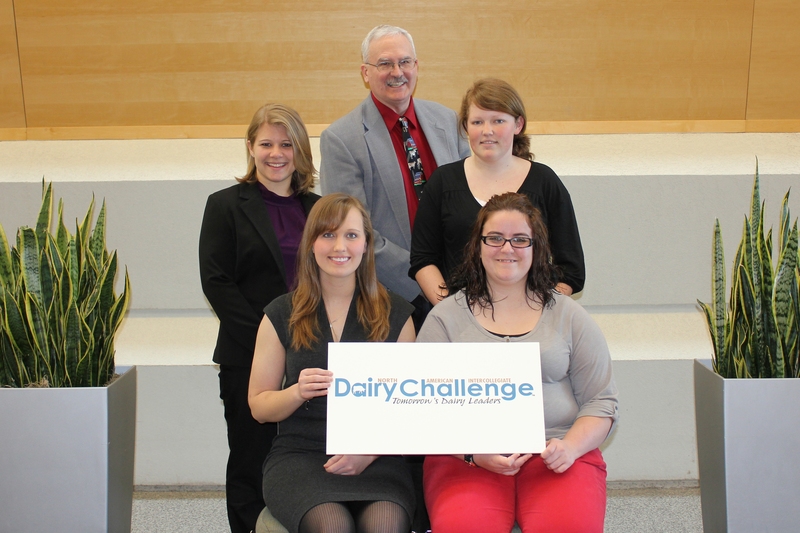 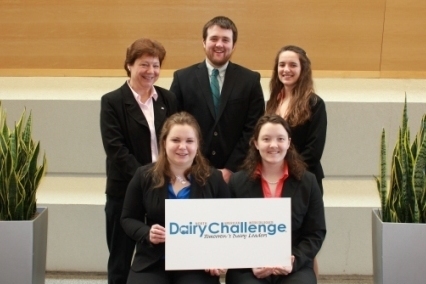 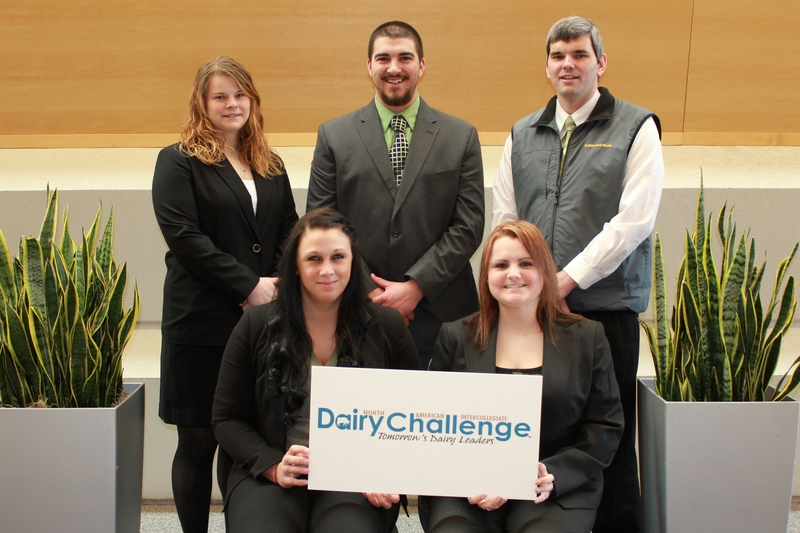 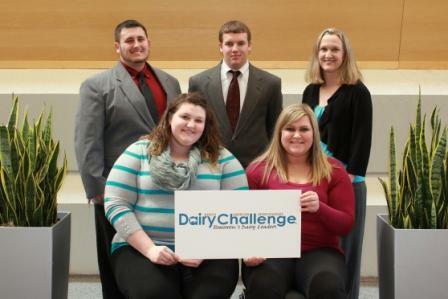 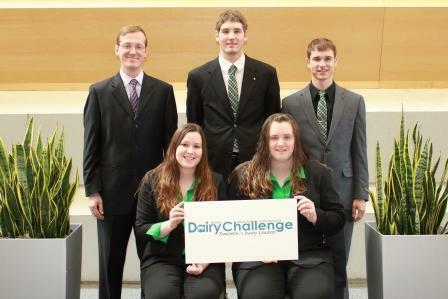 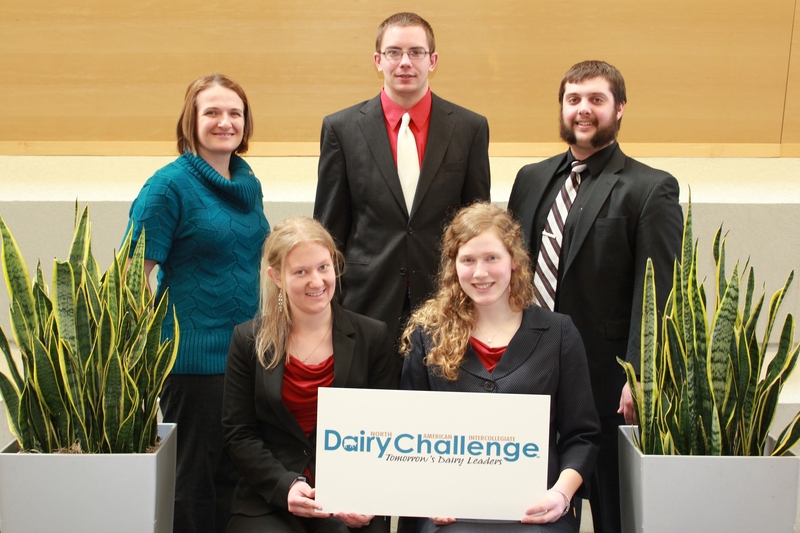 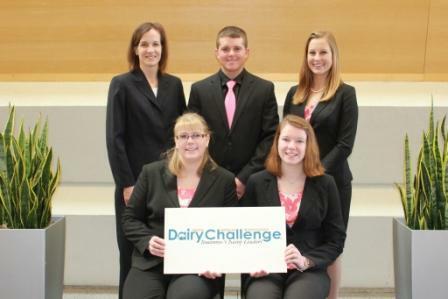 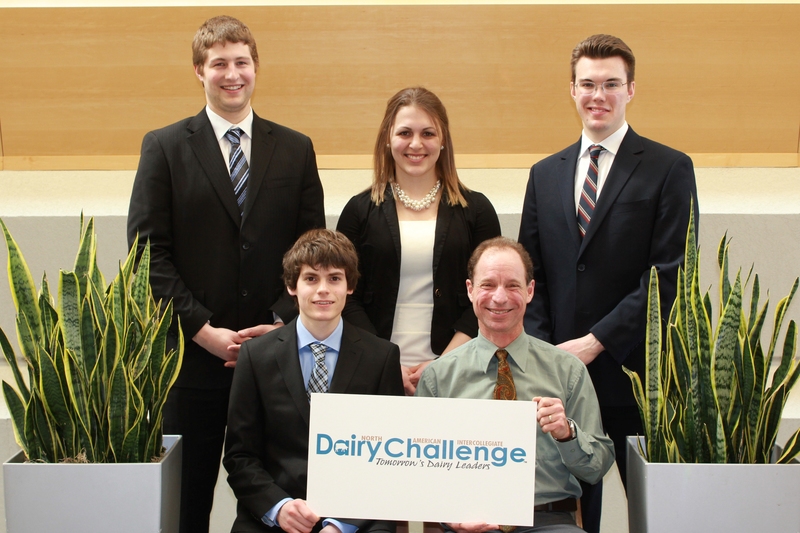 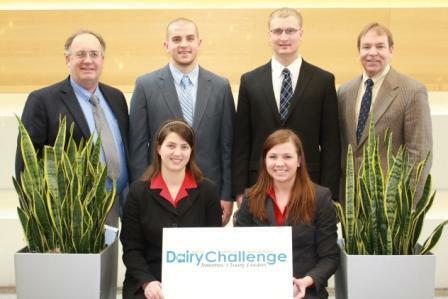 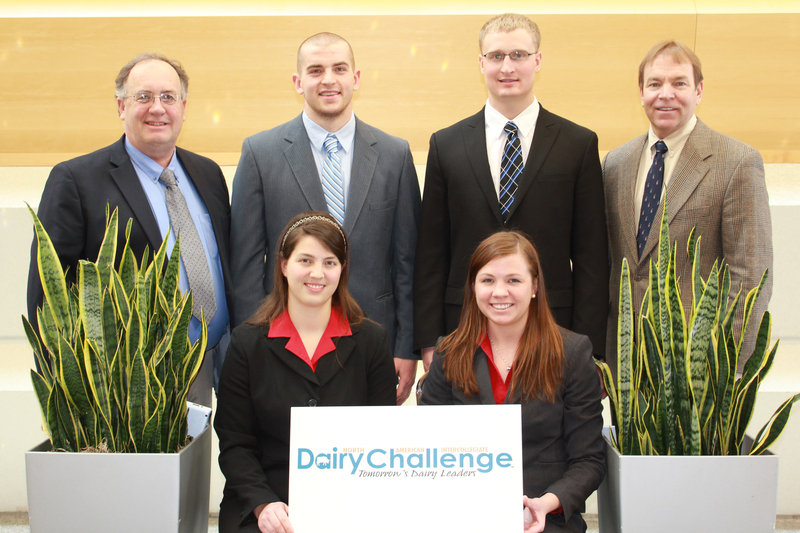 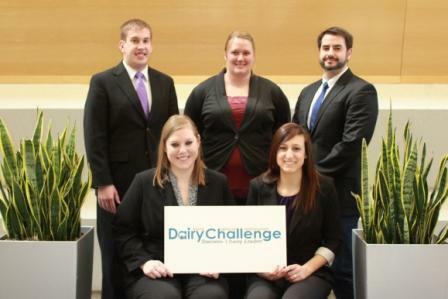 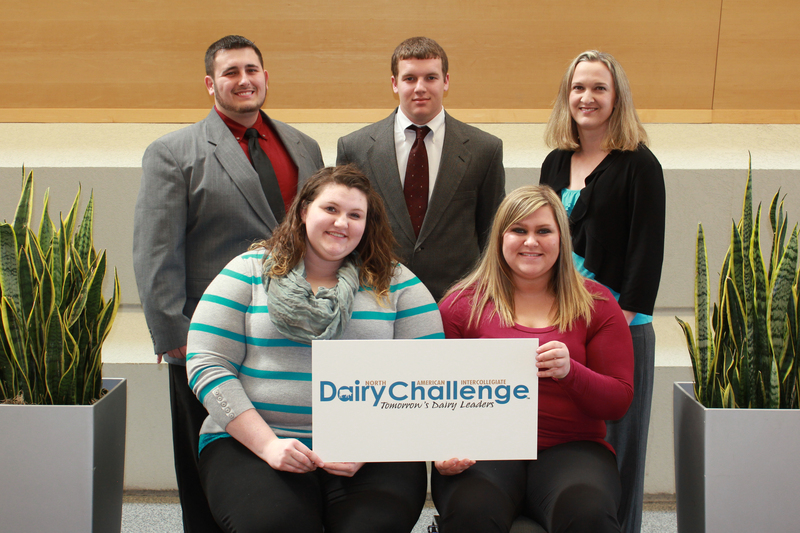 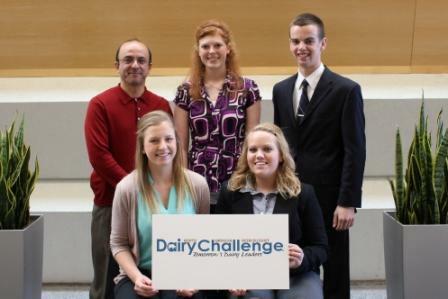 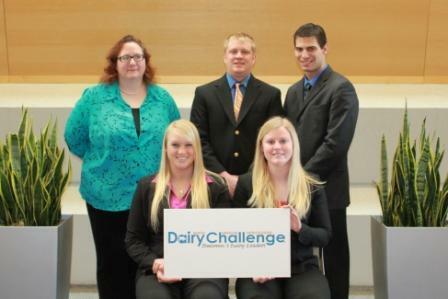 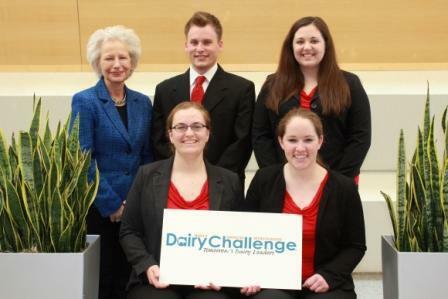 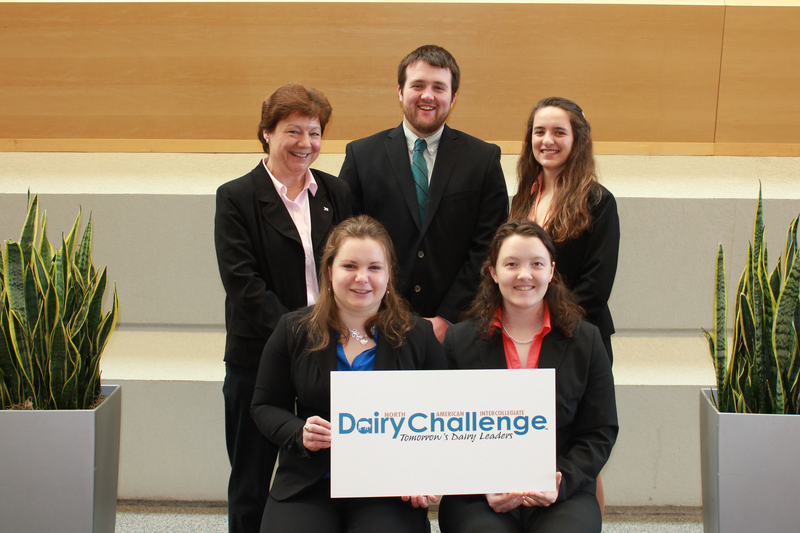 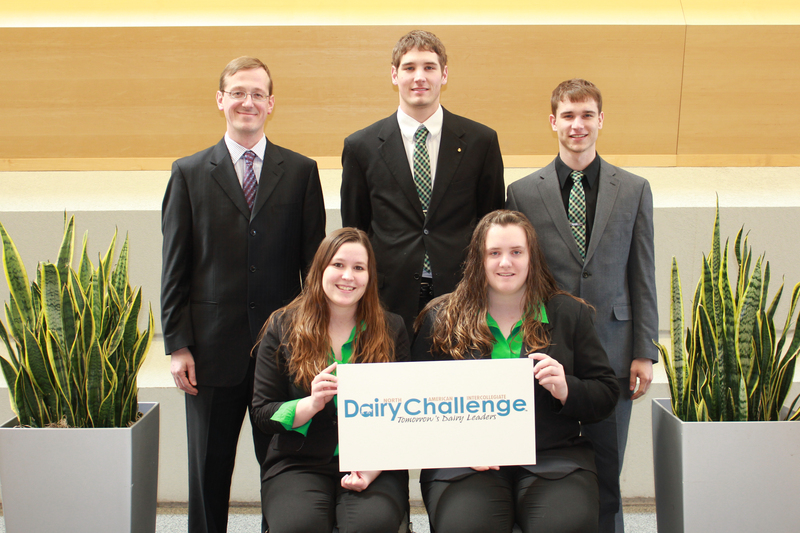 Earning first place honors at the 2014 North American Intercollegiate Dairy Challenge� were teams from Cal Poly, Cornell, Guelph and Penn State. Front Row (L-R): Coach Dr. John Welton, Guelph; Peter Spruit, Guelph; John Wynands, Guelph; Kristin Bigelow, Penn State; Jennifer Royer, Penn State; Taylor Pires, Cal Poly; Dominic Assali, Cal Poly; Anna Laggis, Cornell; Cassandra Chittenden, Cornell; and Coach Betsey Howland, Cornell. 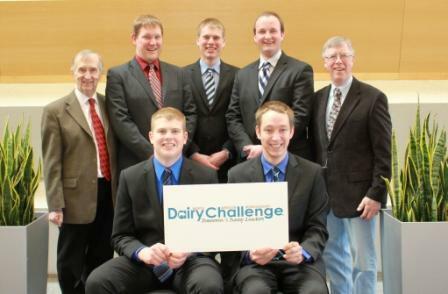 Back Row (L-R): Coach Dr. Ken Leslie, Guelph; Hans Van Lith, Guelph; Coach Mark Carson, Guelph; Alan Nanne, Guelph; Ariel Taxdal, Penn State; Coach Dr. Gabriela Varga, Penn State; Colton Hoffman, Penn State; Justin Roeloffs, Cal Poly; Coach Dr. Stan Henderson, Cal Poly; Hudson Hanlon, Cal Poly; Patrick Redmond, Cornell; Rocco Cunningham, Cornell; and Coach Dr. Mike Van Amburgh, Cornell. 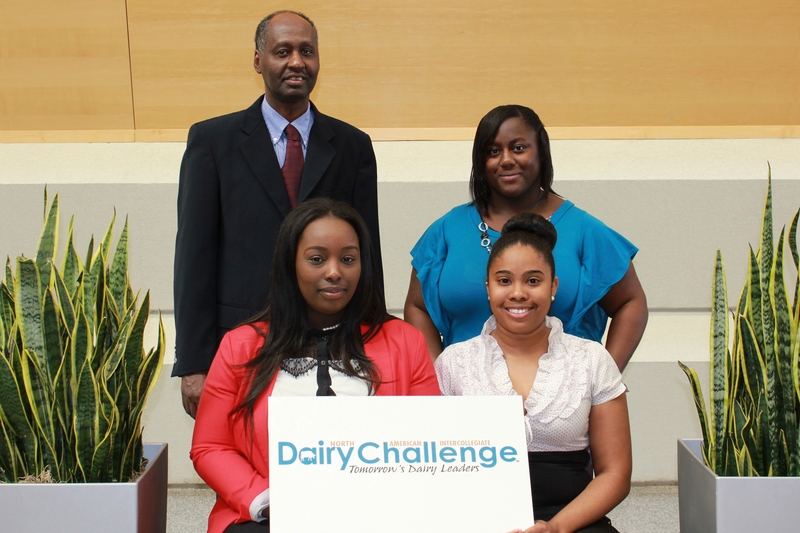 Caption: Dairy Challenge Academy participants work in mixed-university teams, alongside industry and university professionals, to conduct a dairy farm business analysis. 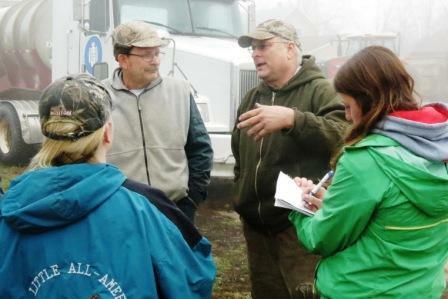 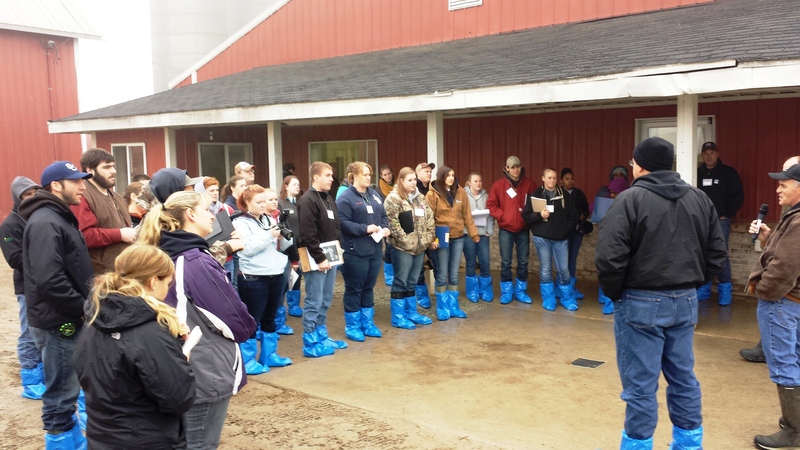 Caption: Dairy farmers Bruce and Doug Bloom (center left to right), of Coldwater, Mich., explain their farm procedures to college students participating in the Dairy Challenge Academy. 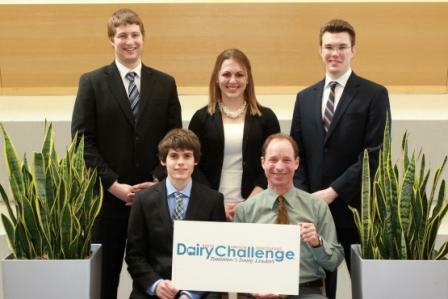 Caption: Fred Beer (far right) welcomes Dairy Challenge participants to the farm he and his sons operated near Milford, Ind. 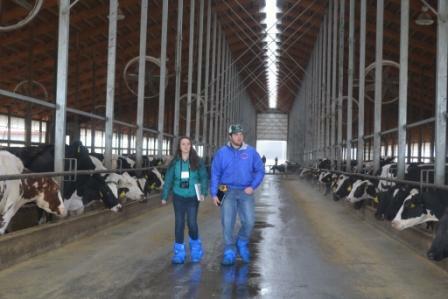 Caption: Students review cow comfort, housing, nutrition and other aspects of milking cow management at Perkins Twin Creek Dairy Farm, Inc., near Wolcottville, Ind. 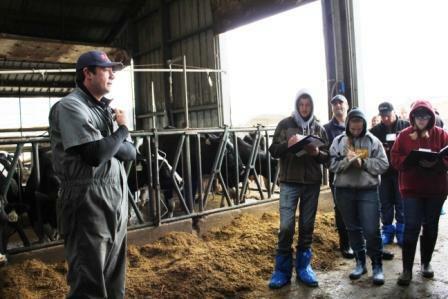 Caption: Ted Sonnenberg (far left) answers questions from students evaluating his farm, Sun Mountain Dairy near New Bavaria, Ohio. 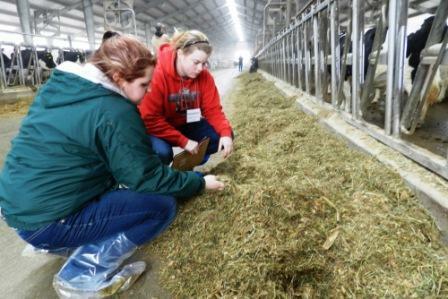 Caption: Teammates assess the milking cow ration at Blue Stream Dairy, Convoy, Ohio. Caption: Four younger farmers shared their experiences of entering a family business. 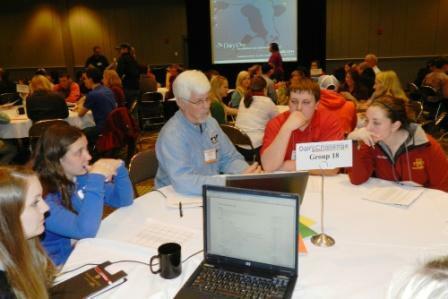 Panelists included David Brand, Waterloo, Ind. 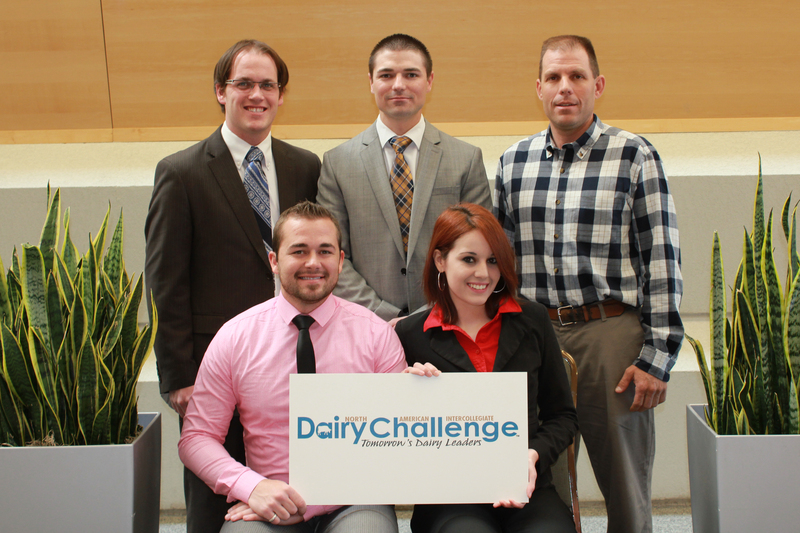 ; Brett Feldpausch, St. Johns, Mich.; Stacey Atherton, Newark, Ohio; and Brian Houin, Plymouth, Ind. 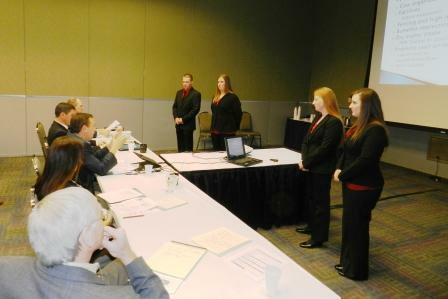 Caption: Team members from Washington State University discuss their management recommendations with the judge panel, which included a farmer, financial expert, veterinarian and other dairy professionals. 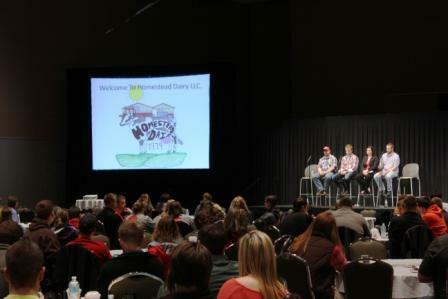 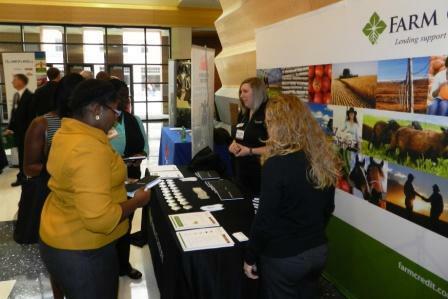 Caption: Dairy Challenge participants learn about career opportunities through Farm Credit and other leading event sponsors.